New vintage shop Comet Vintage specializes in vintage clothing from the 1920s through the late ’70s as well as vintage housewares at affordable prices. SHOOTING STARS Jen Thomas and Jamie Roelofs don’t waste any time. Earlier this spring, the two friends were working at a vintage shop in Pilsen and decided they wanted to open their own store. 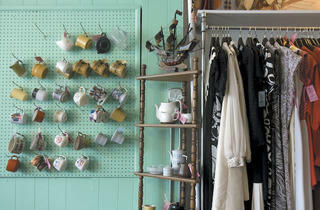 And just a couple of months later, Comet Vintage opened its doors in the neighborhood. 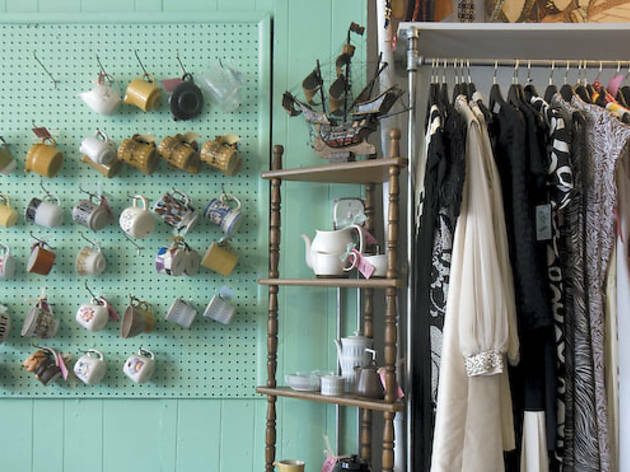 The shop specializes in vintage clothing and housewares from the 1920s through the late ’70s—all at affordable prices (around $10–$30). The duo plans eventually to offer a collection of affordable furniture. Based on their swiftness, we’re thinking it’ll arrive in the store any day now. 1320 W 18th St (312-733-7327).